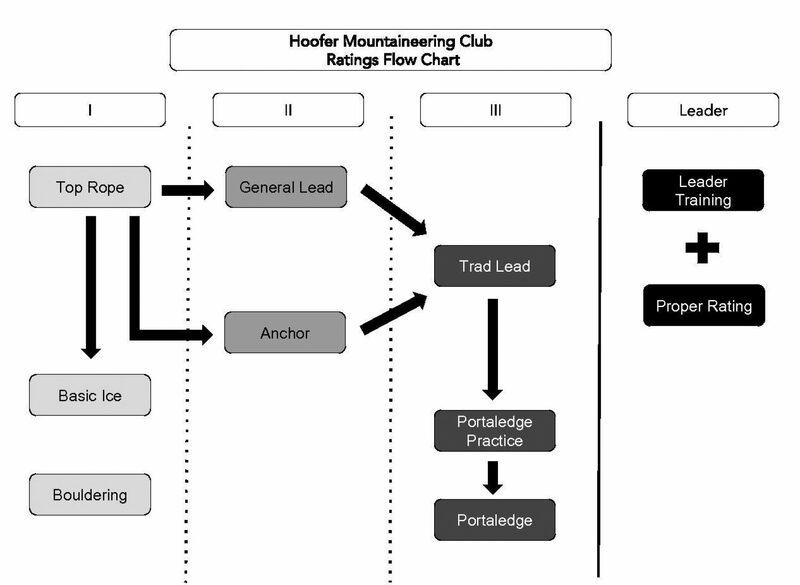 A rating is the Hoofer Mountaineering Clubs tool for measuring competencies for gear check out and trip attendance. Without proper ratings, you cannot check out gear from the HMC gear locker. Ratings are typically quiz and skill based. You will be asked a number of questions and be asked to demonstrate certain skills. To get rated, come to a HMC meeting on Thursdays at 7:30pm or contact a gear manager! What if I don't have the skills to pass? Don't worry! You can gain the skills and knowledge through clinics, educational sessions, and trips offered by the club. If you are not finding the support you need, contact us and we can help you further! What else can I do with my rating? At times, a trip may require a rating in order to attend. This ensures that participant skills are honed enough for the terrain and level of other participants. If no rating is required, the trip is open to all.